Image from Milner Library Passion for Circus digital collection. For the first time in the history of the organization, the Circus Fans Association of America (CFA) will come to Normal. Founded in 1926, this organization aims to support, encourage, and preserve circus as an art form. The CFA’s annual convention will be in town to support Illinois State’s Gamma Phi Circus during its 89th anniversary, April 18–21. CFA convention attendees will be headquartered at the Hyatt Place and will attend sessions and activities highlighting the unique circus culture of Bloomington-Normal, a community once known as “The Trapeze Capital of the World!” If you are interested in finding out more or registering for this convention, visit new.circusfans.org. There will also be activities open to the public while CFA is in town. On Thursday, April 19, at 7 p.m. at the Normal Theater, there will be a free showing of The Flight Fantastic. This documentary by film, theater, and television director Tom Moore, focuses on the Gaona troupe—a trapeze act with ties to this community’s famous flyer Antoinette Concello. Moore, and Richie and Tito Gaona will be on hand after the film for a Q&A session. On Saturday, April 21, from 11 a.m. to 3:30 p.m., Milner Library will host an open house and reception on Floor 6. Visitors will get a chance to visit Illinois State’s Special Collections and see items from Milner’s Circus and Allied Arts Collection. 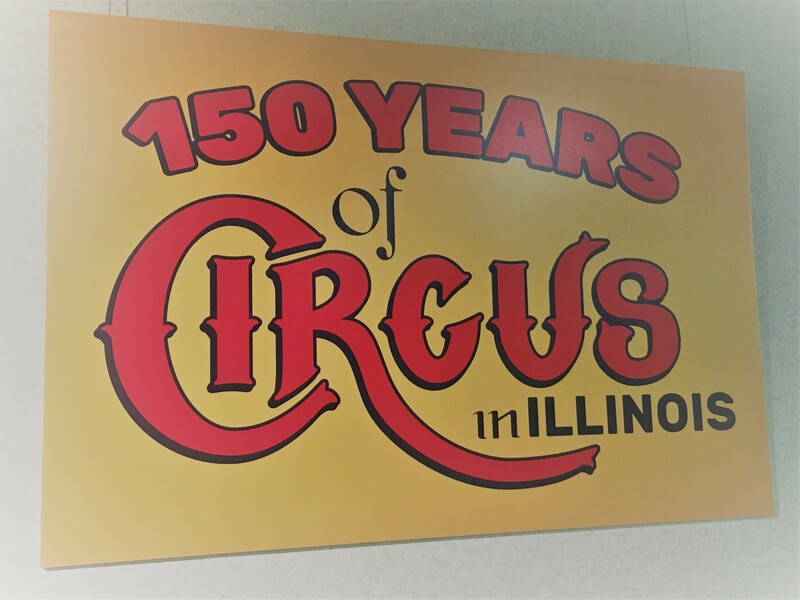 Guests will also be able to view Milner’s newest exhibit on Floor 6, 150 Years of Circus in Illinois. 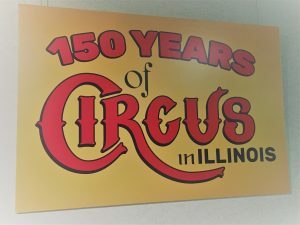 This exhibit, which is open until May 31, gives you a glimpse into the past and shows how the circus culture in Illinois is still present today. Don’t miss Gamma Phi Circus’ Once Upon A Time on Friday, April 20, and Saturday, April 21. Tickets are available at Redbird Arena Ticket Office, by phone, or online.